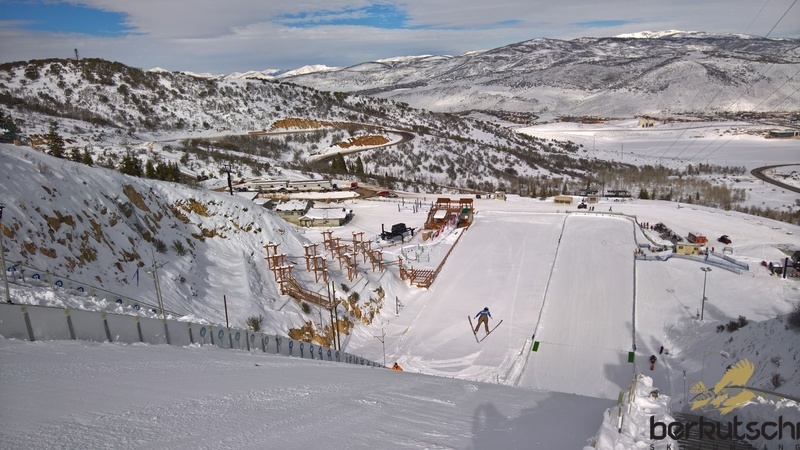 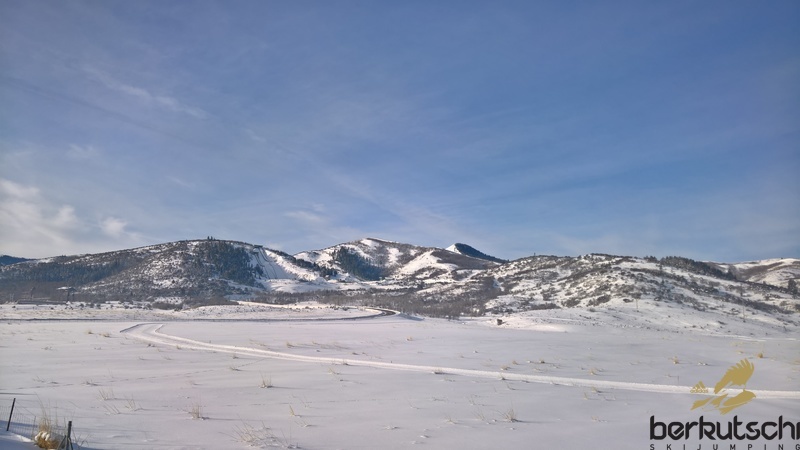 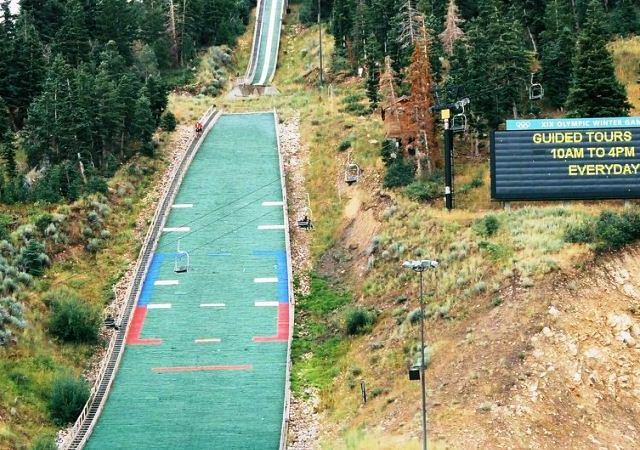 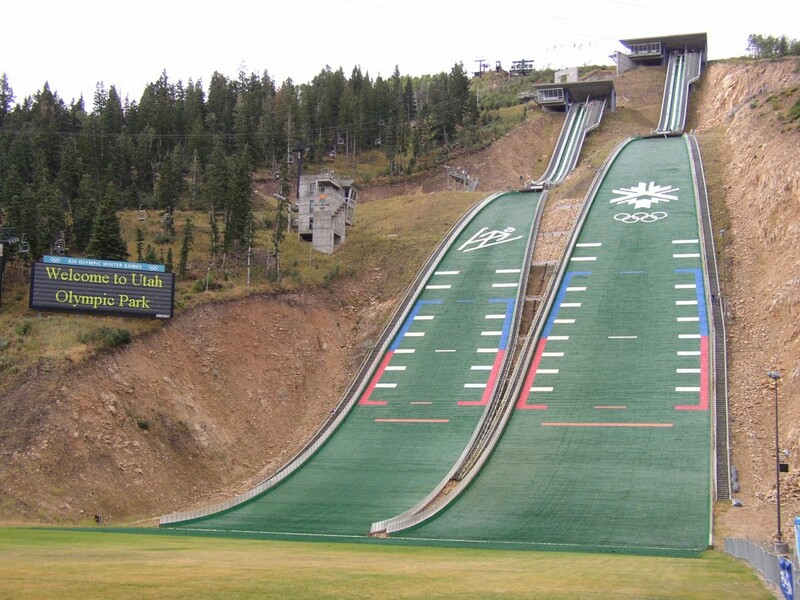 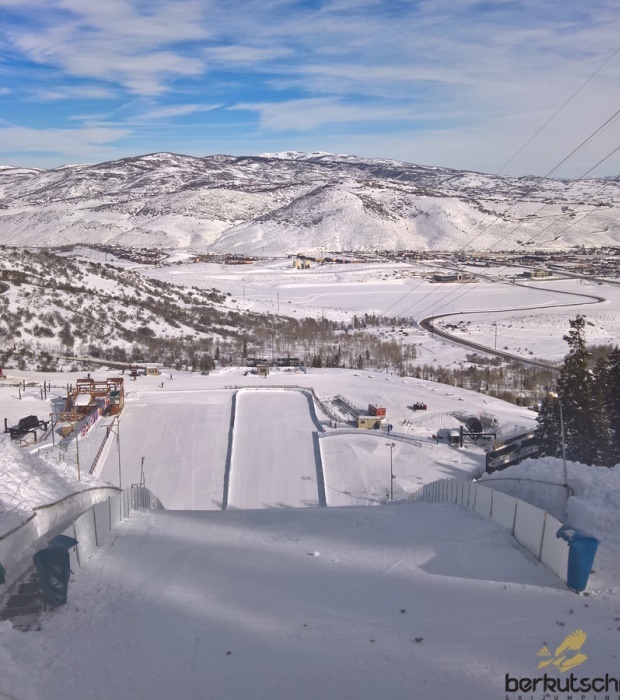 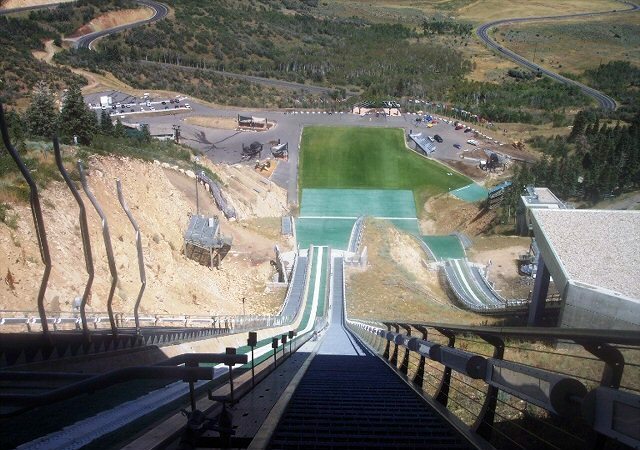 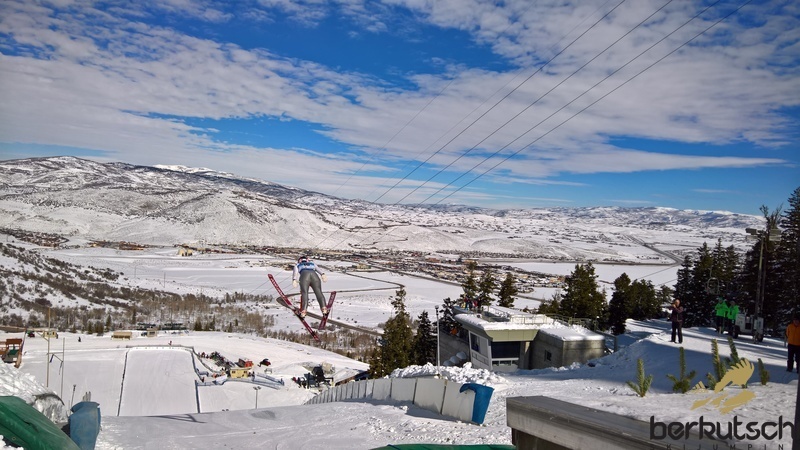 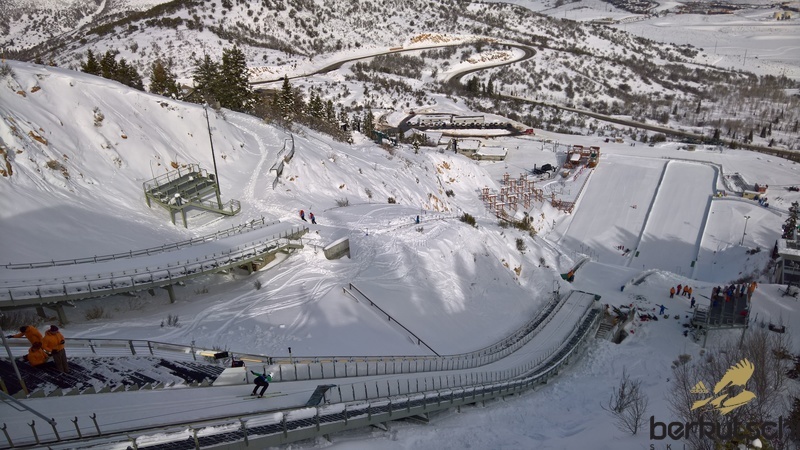 Already in 1989 the decision to construct a ski jumping centre at Bear Hollow near Park City fell and in 1994 the new plastic covered K90 hill could be opened, was well as the four smaller youth ski jumping hills. 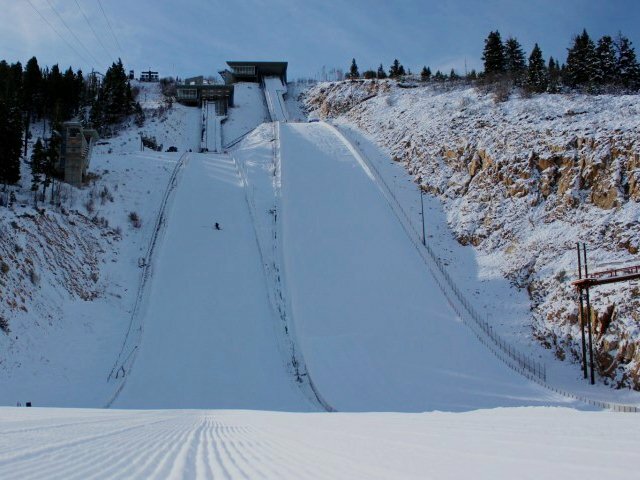 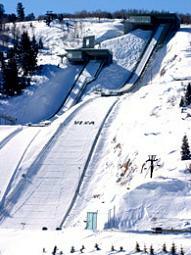 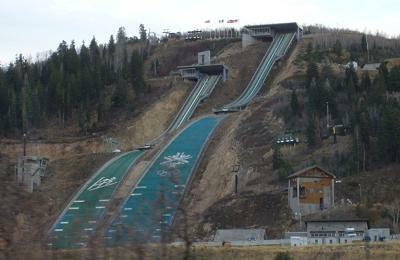 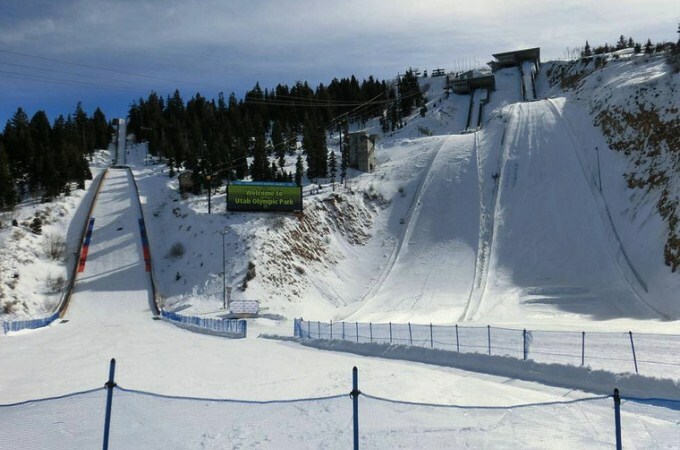 For the Olympic Winter Games in Salt Lake City in 2002 the K90 hill was renovated and right beside it the K120 was built up new. 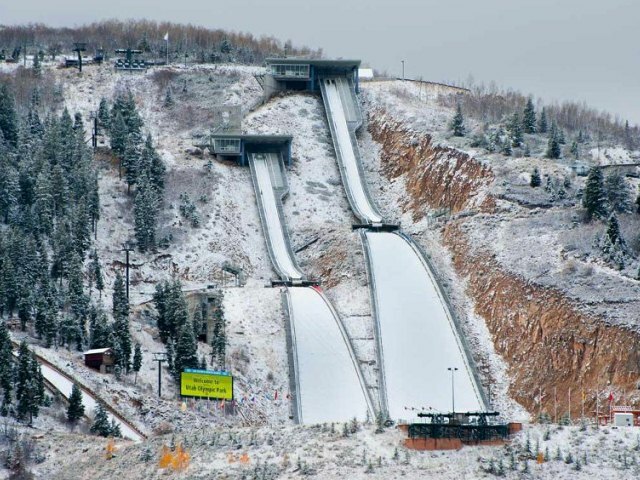 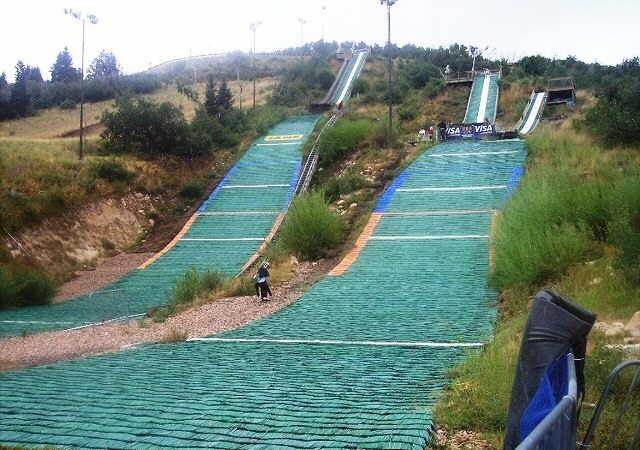 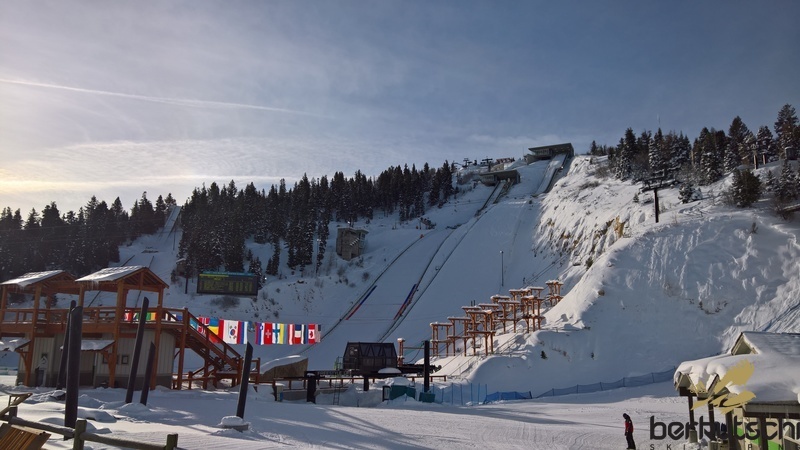 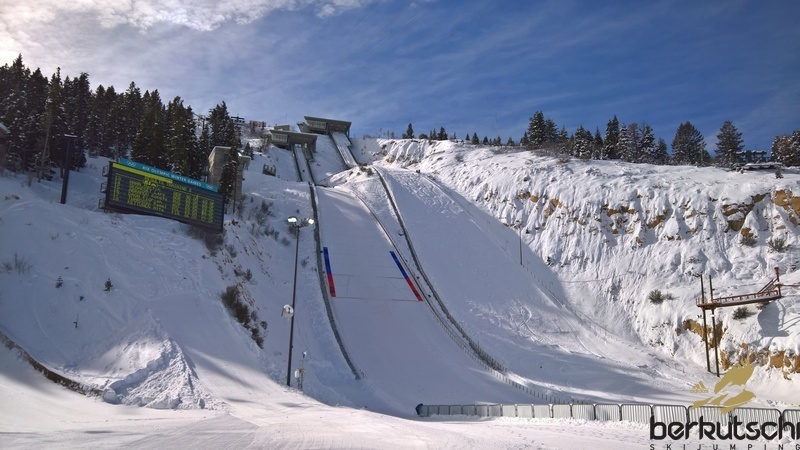 These ski jumps are the ones used for competitions with highest altitude in the world with 2237 m. Both Olympic Hills and also the 4 practising jumps are covered with plastic mattings and are the main training facilities of the U.S. 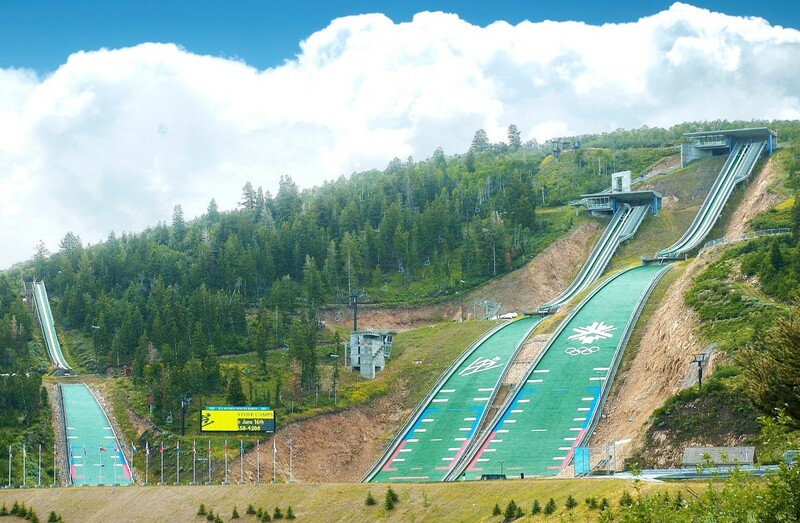 Ski Jumping Team in summer and winter and were used after the Olympic Winter Games in 2002 mainly for Continentalcup competitions. 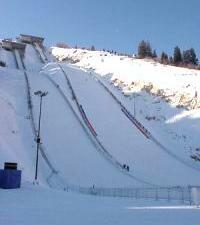 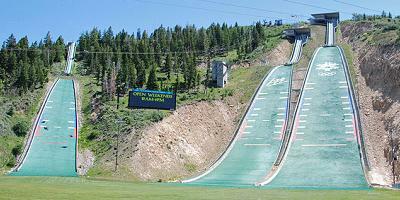 thanks a lot for your hint in your comment - I corrected the hill record for he HS 42 ski jump. 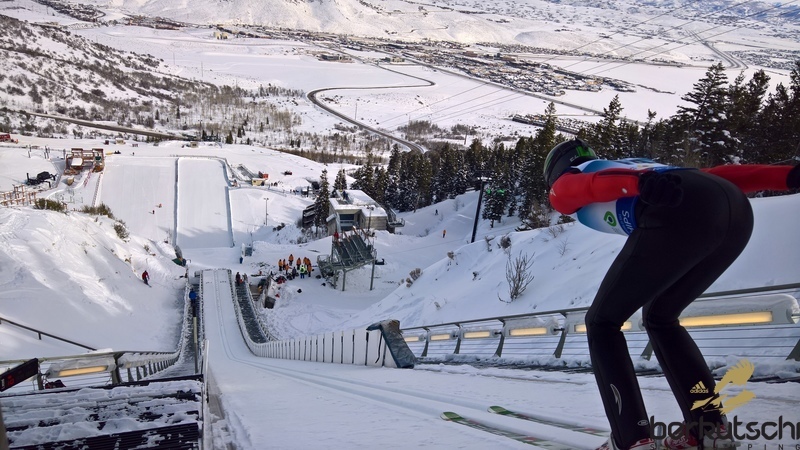 I am sure if you gather the results from 2015 that the hill record on the H 42 in Park City for the women is held by Abigail State from Canada at 42 metres. 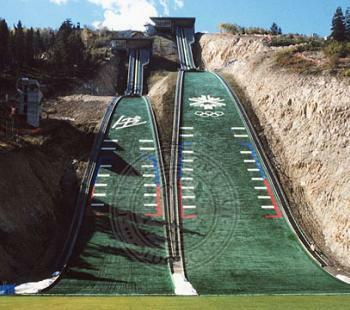 The record was set at the Summer Springer Tournament that year. 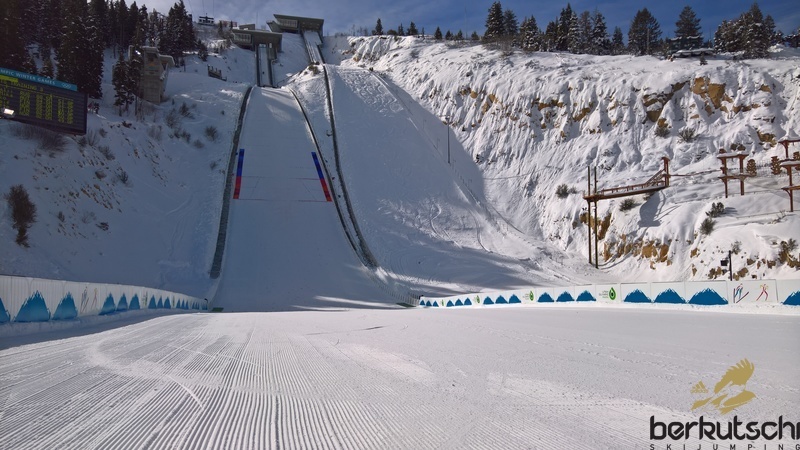 What is your event schedule for this winter - 2017/2018? 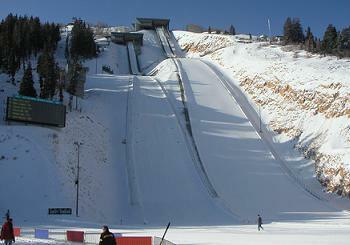 Hallo KF. 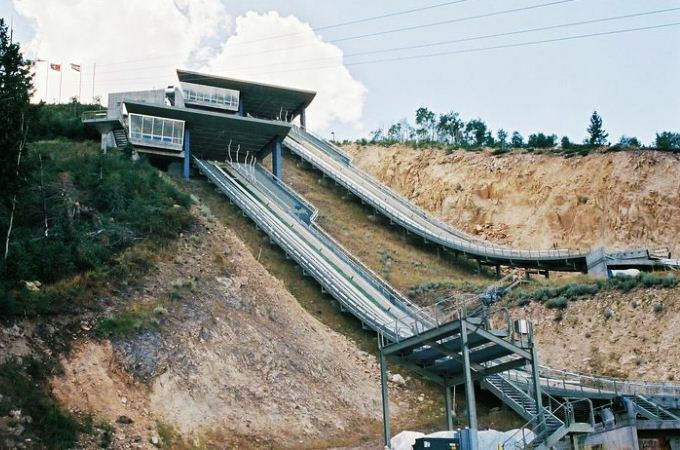 Foto 17 zeigt die K90 in den 90er Jahren, vor dem Bau der K120. 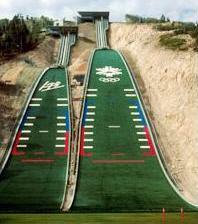 Laut Wikipedia wurde die K90 im Jahr 1993 eröffnet (1989 war hiernach der Beschluss zum Bau), sodass die K90 definitiv nicht für die Olympischen Spiele gebaut wurde. 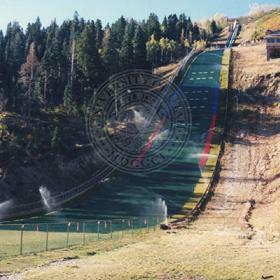 Für diese wurde die Anlage um die K120 ergänzt. 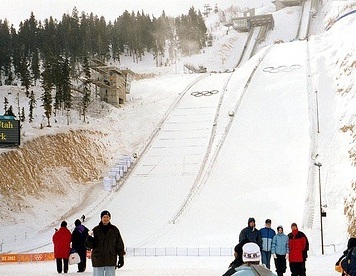 To kompleks gdzie Adam Małysz po raz pierwszy na ZIO 2002 miał brąz na średniej i srebro na dużej. 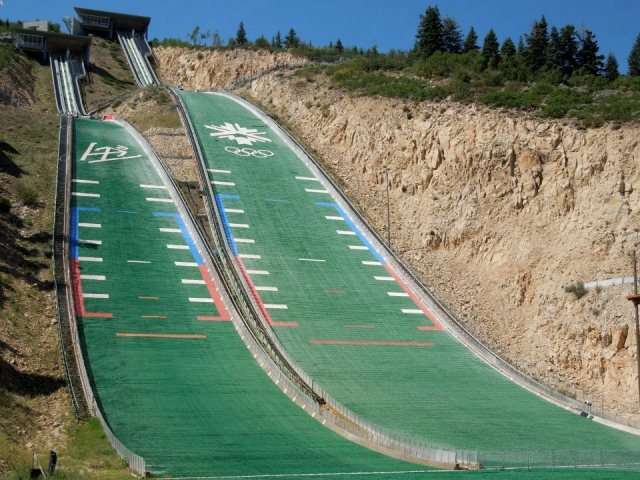 Zrozum w końcu, że skoki oddane podczas nieoficjalnych treningów nigdy nie będą się liczyły jako rekordowe, a skok Kanadyjczyka był oddany właśnie podczas takiej próby.